Will Russia agree to OPEC oil cuts? 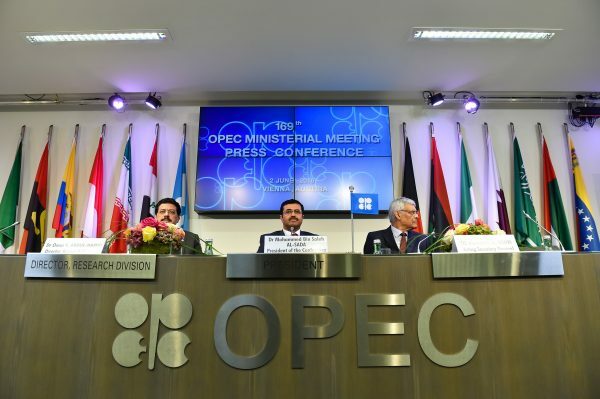 With just three days remaining for a pivotal meeting of Oil Producing and Exporting Countries (OPEC) with non-OPEC producers in Vienna, experts are expecting oil prices to continue their recent climb. Reports emerged over the weekend that OPEC delegates have managed to convince Russia, one of the world’s largest oil and gas exporters, to agree to extend a provision which calls on members and non-OPEC nations to production cuts. The cuts provision, which was expected to expire in March 2018, has helped keep oil prices above the $40 level in recent months. A year ago, OPEC agreed for the first time in eight years to cut output to stabilize global oil markets, but mega-producers like Saudi Arabia are now in an uncomfortable position where they may have to resort to further production curbs to balance the market. Many experts had expected oil prices to jump to $60 in 2017, and this has happened in the past few weeks. Saudi Arabia accepted “a big hit” to its production and is reducing output by almost 0.5 million barrels per day. Other Gulf OPEC allies will cut by a total of 0.3 million barrels per day. On Friday, oil prices continued a two-day spike with the benchmark Brent Crude oil rising 0.46 per cent to $63.86 and West Texas Intermediate rising 1.6 per cent to $58.95 a barrel. Geopolitical turmoil between Saudi Arabia and Iran, and the royal shake up in Riyadh have jittered oil markets recently.